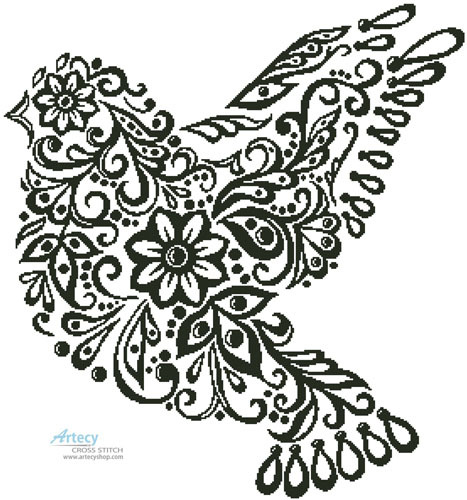 Dove Silhouette Cross Stitch Pattern to print online. This counted cross stitch pattern of a Floral abstract design of a Dove was created from Artwork by Jenya777Levchen. It also comes in a coloured version.